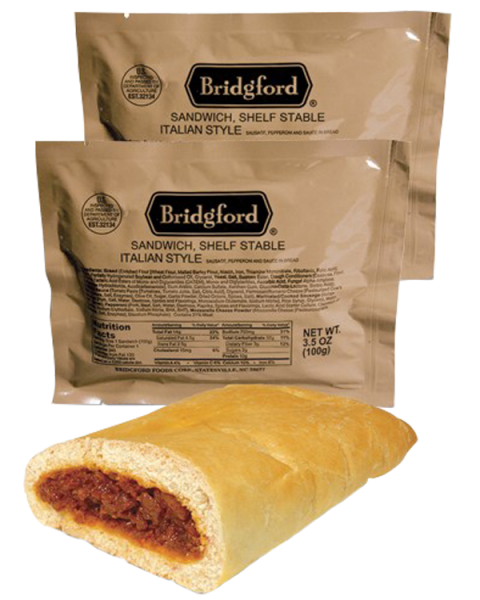 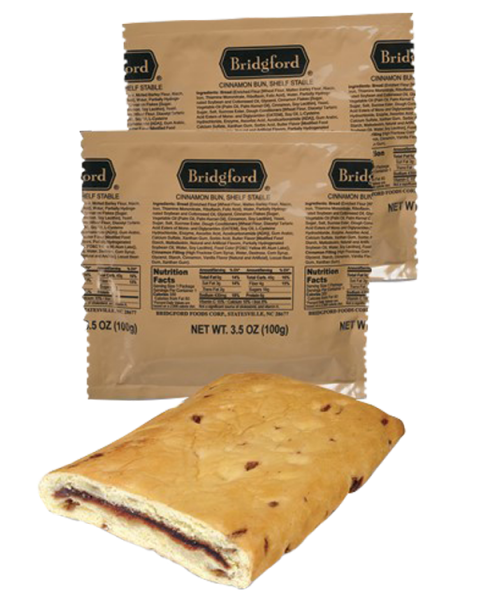 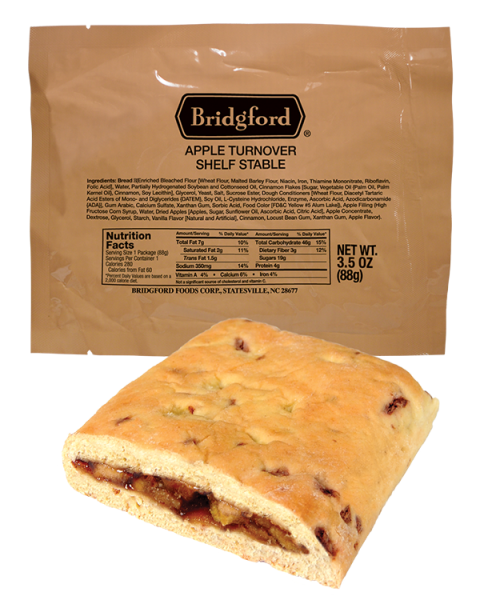 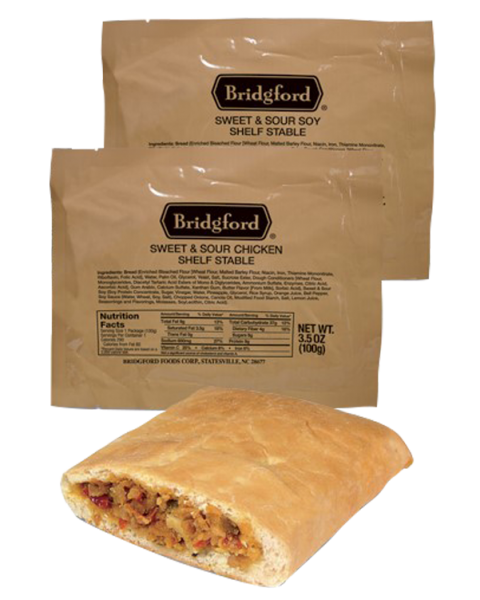 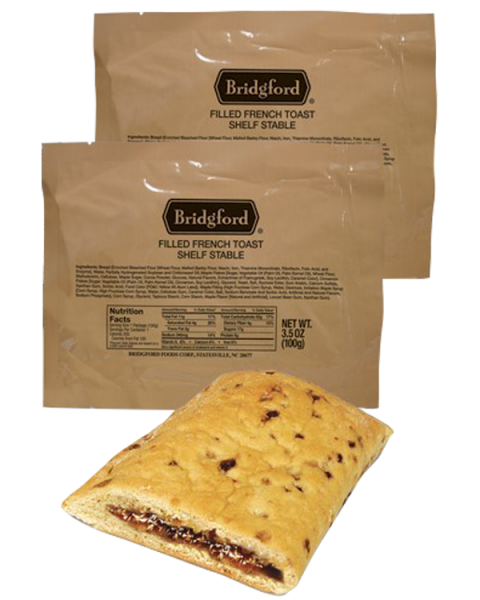 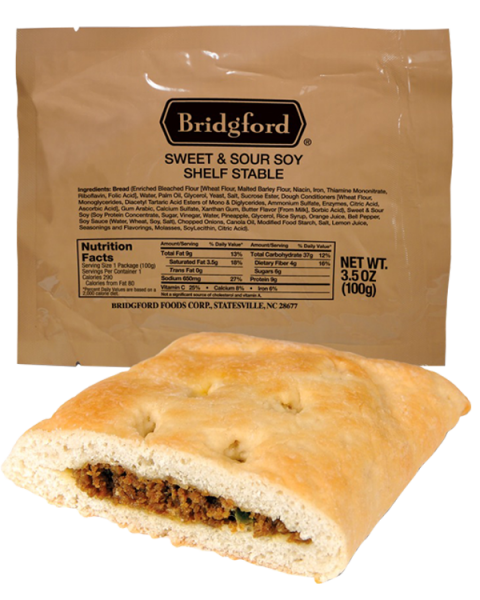 Bridgford Ready to Eat Sandwiches are approved and used by the United States Military. 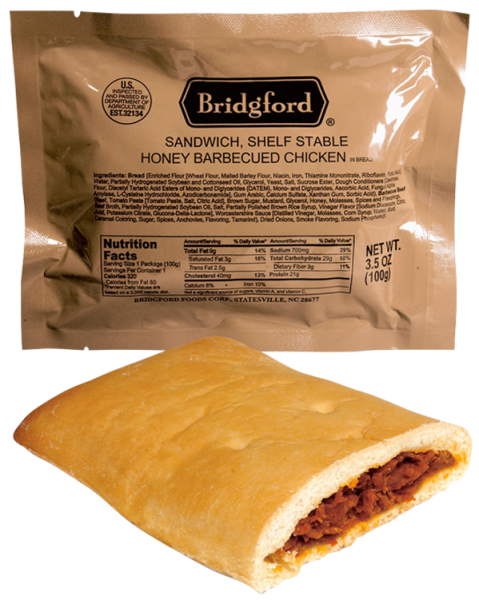 Each sandwich weighs from 3.1 to 3.5 ounces depending on variety. 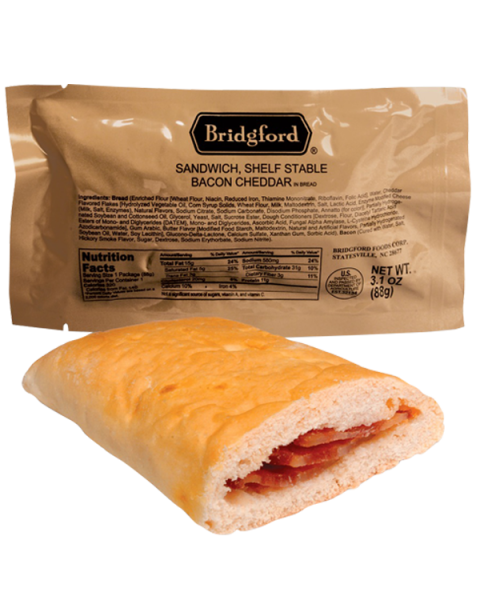 On average, Bridgford Ready to Eat Sandwiches provide 300 calories per sandwich. 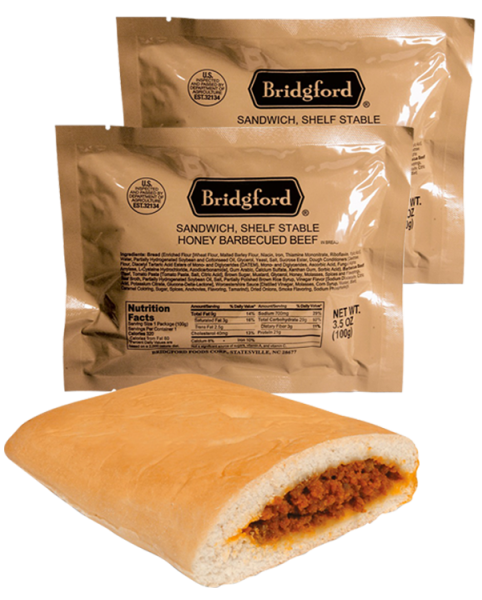 Each box contains 48 sandwiches.